The Happy Planner begins today, and I’m super excited to start using it. I was using the A Beautiful Mess planner, which I still think is beautiful, but unfortunately I can’t work with a horizontal layout. I just need to make to-do lists for my days, so vertical layouts are perfect for that! I think the horizontal layout worked in college, because my lists of assignments required more detail than a one or two word task list that I make now. 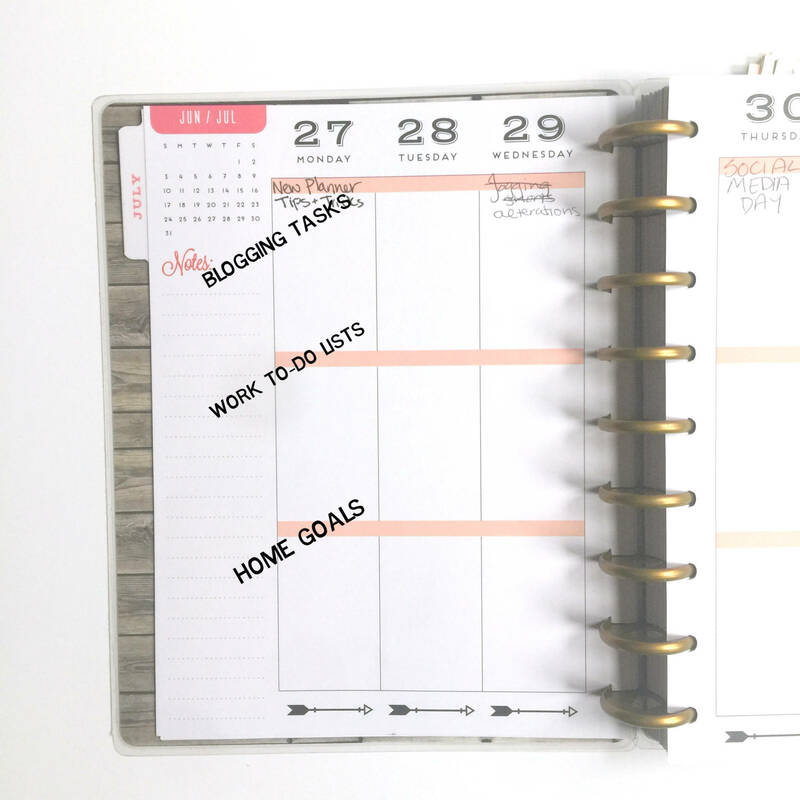 For practicality, the planner does not need to lay open all the time. You can just flip it around. This is also great for removing pages and putting them back in. Or you can punch any paper with the Happy Punch to fit it in. 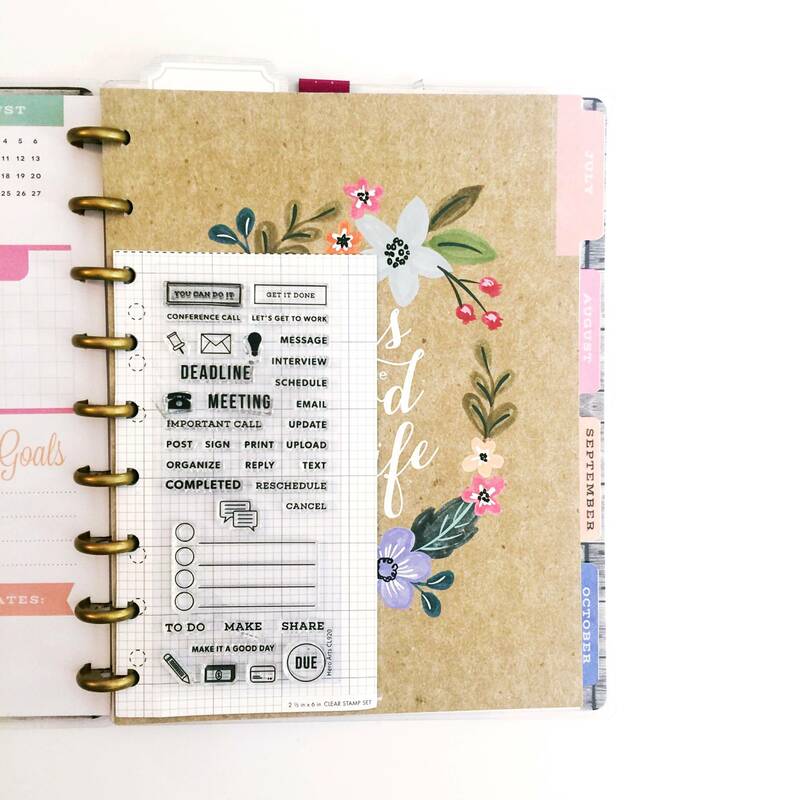 So many extra fun products: This planner is definitely for crafty people (it is sold at Michaels, after all), so a lot of these extra products aren’t necessarily functional. And many people use them for Memory Keeping… in a planner. I like to use my planner for planning, so mine won’t be quite as pretty – but I have bought some of the stamps and planning stickers. 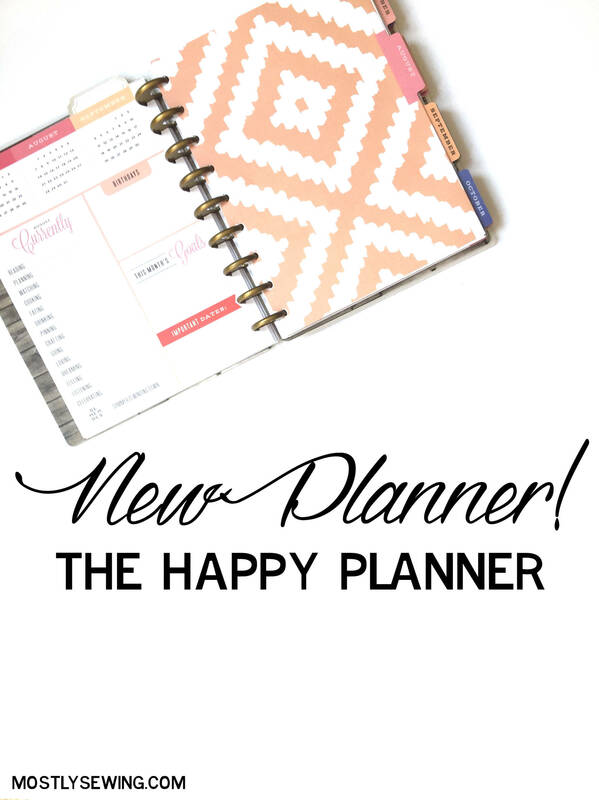 Like I said, mine is going to be a little more functional than the planners you’ll see featured on their instagram account (@the_happy_planner), but I hope I’ll use all of the features effectively. I change my mind about blog posts all the time (evident by that first line – and guess what? 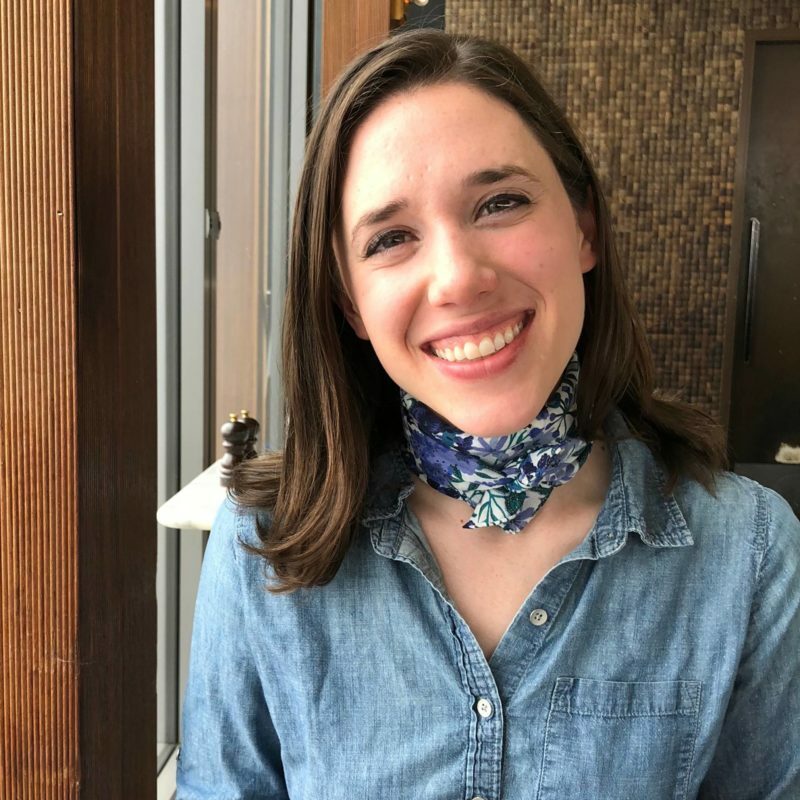 wednesday’s post is NOT about alterations! ), so the whole first line will be tasks that must be completed that day for the posts to happen. The orange line will have the post scheduled for that day (not the post I’m working on), and the space below it will be my list. I’m hoping if I really plan out the necessary steps, I’ll actually get ahead in my scheduling! And maybe have some free time on the weekends! My top 3 goals for my freelancing work that day. For example, I need to post the case studies for my past few projects in my portfolio. Tomorrow I have “Take Screenshots” on my list to finish that project. 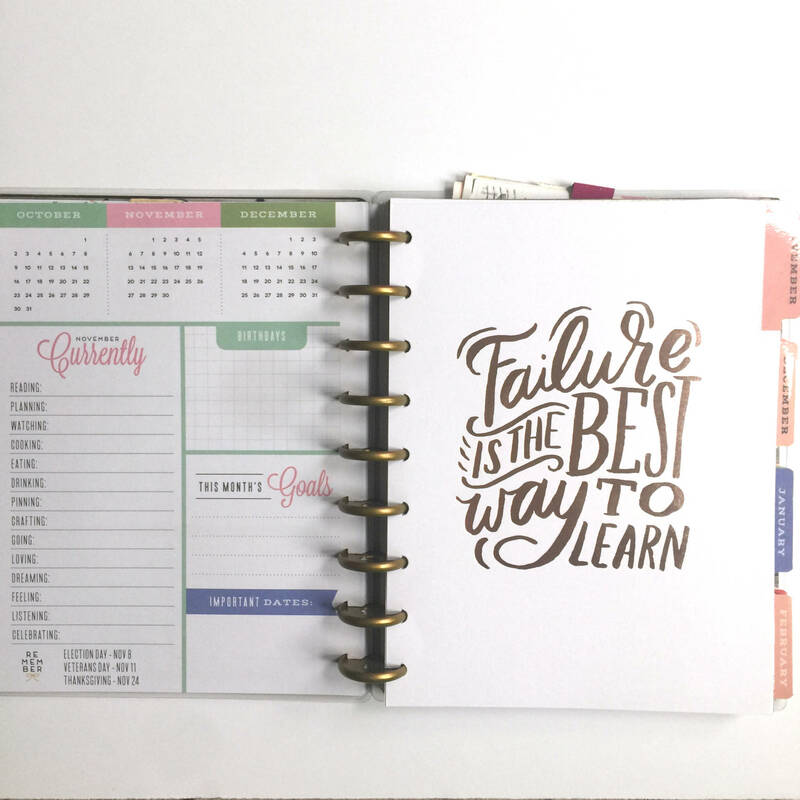 So… we’re starting the Whole30 Plan on July 5th, and now my planner is full of meal plans and shopping lists to prep – and some “YOU CAN DO IT” pre-emptive stamping. Me and My Big Ideas is planning to release a bunch of new products today! So here’s a link to their site. Since I wrote this post in advance, I don’t know what those items are (I think I saw something about Rose Gold, so I’ll be picking whatever that is for sure). 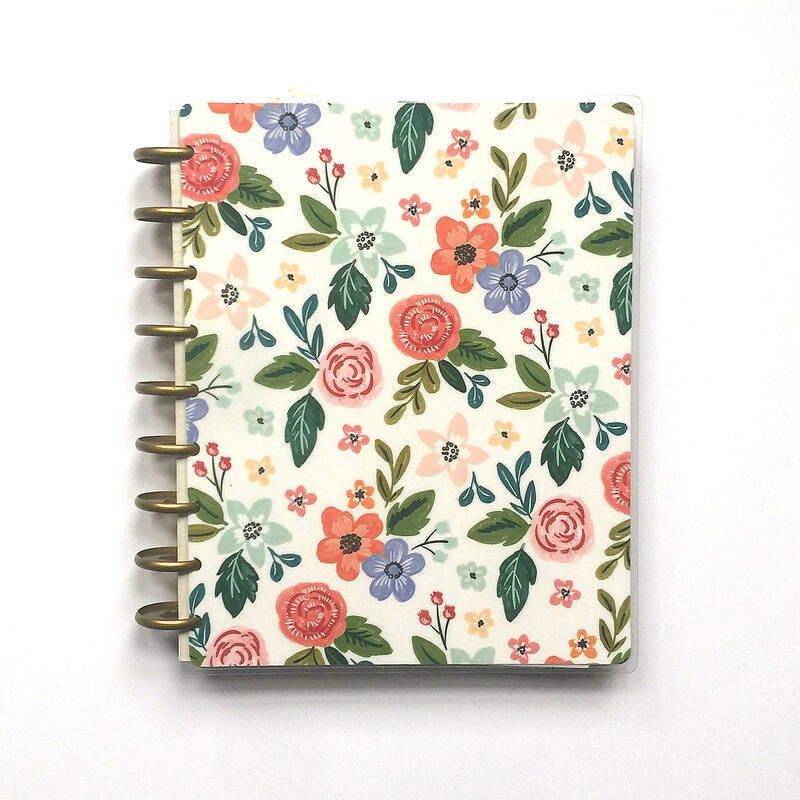 Here’s a list of a few of the things I bought or already had, that are compatible with this planner (and some are a little cheaper). The Martha Stewart Discbound Notepad from Staples: These were super cheap (I got a 3-pack for $2! ), and great for throw-away grocery lists. Sticker Paper: A lot of bloggers share printables that fit the daily squares and make a pretty theme for the week – a little too much work for me, but I might try it out sometime. I made a pocket folder out of scrapbook paper that I was planning to share on the blog, but I don’t really like it :/ It’s not sturdy enough, and I’ll probably just buy a pocket pouch that’s made for The Happy Planner. Anyone else using The Happy Planner? Or share some planner tips that have helped you!